Bicycle riding has become a more and more prominent form of transportation thanks to its many economical and healthful benefits, but it also carries risks, though typically not due to the actions of the rider. Let’s just face the unfortunate truth; many drivers do not know how to share the road with bicycles. There is no excuse for this. Motorists may not understand that bicyclists have just as much of a right to be on the road as them; they may be inattentive to their surroundings; or they may believe that, as the bigger vehicle, bicyclists should be watching out for them. These are only three potential scenarios, but all of them may create dangerous situations which can result in serious injury or fatal accidents for the bicyclist. Not having any protection against the impact of a two-ton vehicle makes any accident involving a car very dangerous. If you have been injured in a bicycle accident, you may have suffered broken bones, brain injury, spinal cord injury, or even a combination of these injuries. It is natural to feel overwhelmed and even scared under such circumstances. Will you be able to recover without any permanent damage? Will you be able to pay for the medical care and support you need for that recovery? What if you can’t work for a few months or even ever again? 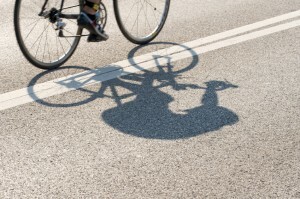 Dedicated Long Beach bicycle accident attorney, Joseph H. Low, recognizes that these worries can make the future seem bleak, but it is important to remember that you are never helpless. With the right legal support, you will not have to worry about the answers to any of those questions. If your accident was the result of negligence, then you have the right to hold the negligent party accountable for your losses. By holding the at-fault party responsible, you can not only get the money you need to recover, but you will also be able to obtain justice. It is unacceptable for an innocent victim to suffer due to the negligence or recklessness of another. Attorney Joseph Low can help you overcome the challenges of your situation and empower you in your journey towards recovery.